Tennis is a great way to have fun and exercise, too. With lighted courts, you can play whenever you like! The courts are to be used exclusively for tennis. Pets, bicycles, skateboards, roller blades, or other non-tennis activities are not permitted within the tennis area. Proper tennis shoes are required at all times. Street shoes are not allowed on the courts. Proper tennis etiquette should be observed at all times. No loud or offensive language will be tolerated. All players are responsible for the cleanliness of the courts. Please remove all litter such as can tops, cups, etc. when leaving the courts. The gate to the courts should be locked when leaving the area. Keys to the pool and tennis gates are issued to each Beacon Knoll residence or lot owner. A Beacon Knoll resident or a lot owner must accompany guests or non-residents when using the courts. The courts are available for use whenever daylight permits. The courts should be thoroughly dry when in use to avoid the potential for injury. 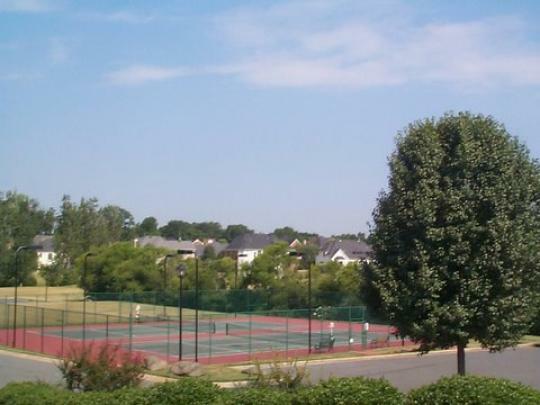 All residents must be up to date with Homeowner's dues to maintain tennis privileges. The courts are open for individual or general use on a first come basis. When other players are waiting, court time is limited to one hour for singles and one and one half-hours for doubles. It is the responsibility of the waiting players to notify those playing of the expiration of time on a court. Courts should be surrendered immediately at the time of expiration in order to avoid infringing on the time of others. A person may not hold a court for more than 15 minutes while waiting on other players to arrive. Beacon Knoll sanctioned tennis events, regular group play by residents, and group lessons have become a regular and popular item in recent years. In order to foster and encourage events such as these, the courts may be reserved for these purposes. A reservation board is located at the tennis courts. Court time may not be reserved for individual matches or play.